Britt Martin is a manager in the Professional Services Agreement of VMG Health and is based in the Dallas office. She specializes in a wide variety of agreements and agreement structures, including: clinical compensation, on-call coverage compensation, medical director/physician executive compensation, management fees, billing & collection fees, and quality incentive compensation. Ms. Martin graduated from the Dedman College of Humanities and Sciences at Southern Methodist University with a Bachelor of Arts degree in Economics. 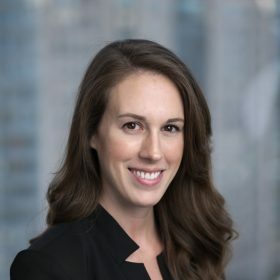 Ms. Martin is a Chartered Financial Analyst (CFA) Charterholder through the CFA Institute and a Certified Valuation Analyst (CVA) through the National Association of Certified Valuators and Analysts. She is also pursuing the Accredited Senior Appraiser designation through the American Society of Appraisers.